Just before the results of back-to-school sales and way before the holiday season, Windows 8 appears to have made a significant jump in market share. At the same time, Windows 7’s hold remains strong, and it looks to stay the most popular operating system version for a long time. The latest market share data from Net Applications shows that August 2013 was a massive one for Windows 8, which gained 2.01 percentage points (from 5.40 percent to 7.41 percent) while Windows 7 recovered 1.14 percentage points (from 44.49 percent to 45.63 percent). Windows 8 hasn’t been growing as quickly as some would have hoped, but recently the numbers have been all over the place. Before August, June was its biggest gain this year at 0.83 percentage points, and July was its smallest since its official release in October. We attributed June’s big jump to Microsoft releasing its free preview of Windows 8.1, the next version of Microsoft’s operating system, which will be a free update for Windows 8 users available via the Windows Store. August’s huge jump of over two percentage points, however, is very difficult to explain. 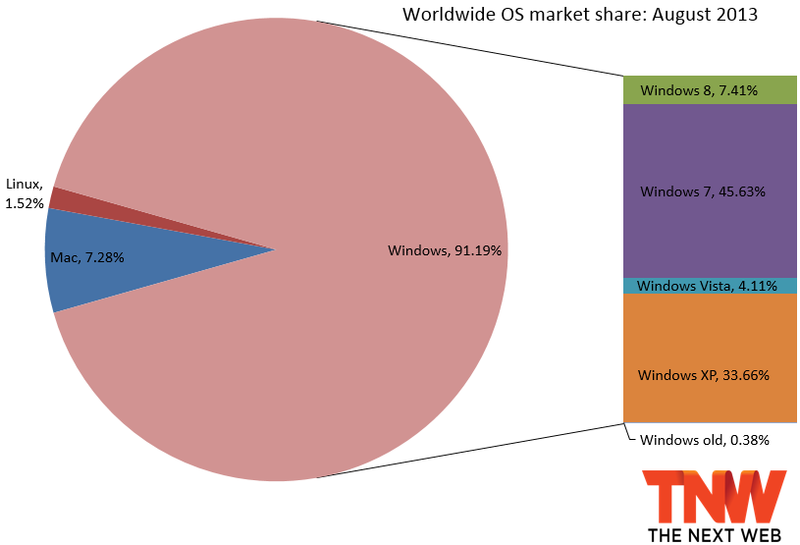 Windows 8 may thus see a drop in share for September. If it doesn’t, students buying new computers will be the main reason for its continued gains. In January, Windows 7 lost market share for the first time since its release, just a month after passing the 45 percent mark. It has been hovering below that mark ever since, but now it has surpassed it again, despite our predictions that it never would. The gains of both Windows 8 and Windows 7 can be attributed to a minor drop for Windows Vista, which declined 0.13 percentage points (from 4.24 percent to 4.11 percent), and a huge one for Windows XP, which dropped a huge 3.53 percentage points (from 37.19 percent to 33.66 percent). This has put it below the 35 percent mark for the first time in years. At the end of 2012, all Windows versions managed to increase their overall market share after six months of losses, mainly thanks to Windows 7 and Windows 8. In 2013, however, Windows has lost share every month except for March and July. 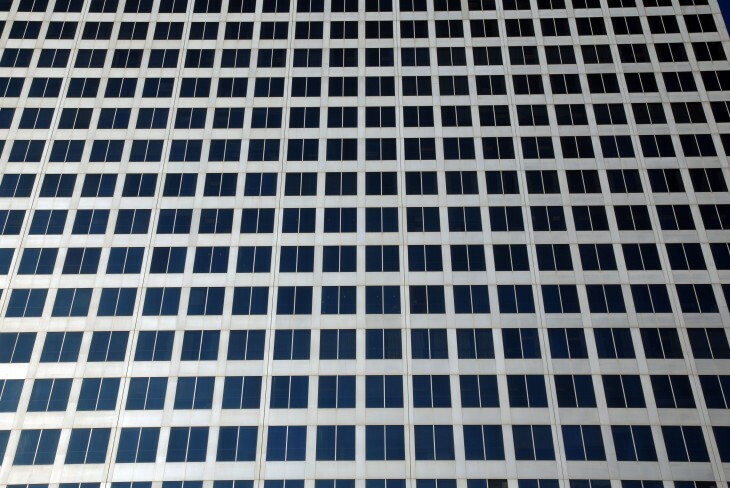 Between July and August, Windows lost 0.37 percentage points (from 91.56 percent to 91.19 percent). This loss was OS X’s and Linux’s gain: up 0.09 percentage points (to 7.28 percent) and 0.27 percentage points (to 1.52 percent), respectively. Net Applications uses data captured from 160 million unique visitors each month by monitoring some 40,000 websites for its clients. StatCounter is another popular service for watching market share moves; the company looks at 15 billion page views. To us, it makes more sense to keep track of users than of page views, but if you prefer the latter, the corresponding data is available here (Windows 8 is at 7.04 percent, and it didn’t see a massive jump from July).